Flip Out Mama: Five Frugal Dog Tips Every Pet Owner Should Know! This post is in partnership with the Dog Bark Collar Store, a great place for all of your bark collar needs! Taking care of a pet can be hard work, not to mention hard on the wallet. However, we all want the best for our pets, so read on for some tips to keep taking care of your pet from breaking the bank! We've all heard the saying, the best things in life are free, and for your pet, nothing could be more true! Do you think your dog really wants those $20 dog treats from the organic dog bakery? The $200 dog house? The $75 spa treatment at the groomer? I don't think so! What our pets want most from us is our time and love! Take your dog for a walk, a run in the dog park, or just a good old fashioned belly rub on the couch. Just like with humans, you can't buy your dog's love! This is something that not many people think of doing, but can save you a ton of money over the course of a lifetime. Instead of buying those expensive pet treats at the grocery, make your own at home! 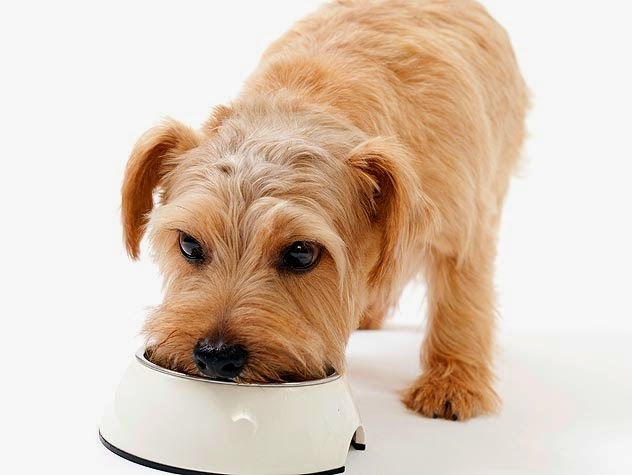 You can control what goes into homemade pet treats, and you can customize them to fit your dog's tastes. You can make a basic dog biscuit with ingredients already in your pantry like flour, water, egg, chicken broth, etc. So easy and a fun family project to do together too! Just like with humans, it's much cheaper to prevent an illness or injury than it is to treat one! Make sure your dog gets flea and tick treatments, heartworm treatments, stays up to date on all shots, etc. in order to ward off any illnesses or injuries. Clean your pet's ears, trim nails, give baths, groom, etc. all in the comfort of your own home to avoid high groomer fees as well. Buying dog toys is another very expensive cost associated with owning a pet. However, you can recycle old household items to make some great toys for your pet! In the summertime, freezing a huge block of ice with some pieces of fruit inside are a great way to let your pet have fun. Let your dog splash around in an old kiddie pool! Use old socks with a knot tied in them to make a fun and cheap toy! And, of course, don't forget the old classic standby- a good old stick! Another great way to avoid costs associated with taking care of a dog are to avoid pricey kennels or "doggie daycares" if possible. If you are traveling, take your pet along if possible, or hire a friend or family member to pet sit for you. Kennels can be a great choice, but they can also be expensive! Avoiding them is a great way to save on pet costs. Do you have any additional tips for saving money when you have a pet? I'd love to hear them! Leave them in the comments section below! I received a promotional product for writing this post. However, all opinions are my own, and are never influenced by outside means.